Recent release “The Resonance of God, His Words with Love” from Page Publishing author Willie Wallace is both captivating and enlightening; this work explores the multitude of ideas and morals from the bible creating an understanding of God’s work. Willie Wallace, a Christian, father, athlete, educated business man, devoted writer and author, has completed his new book “The Resonance of God, His Words with Love”: a gripping and potent book which showcases the blessings of each reader and the gratitude one owes to God. Published by New York City-based Page Publishing, Willie Wallace’s profound work portrays the quality of God’s sound and voice. 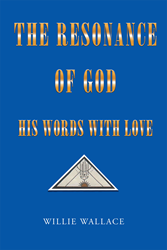 Readers who wish to experience this inspirational work can purchase “The Resonance of God, His Words with Love” at bookstores everywhere, or online at the Apple iTunes store, Amazon, Google Play or Barnes and Noble.